This weeks theme for AIPAS is Easter. 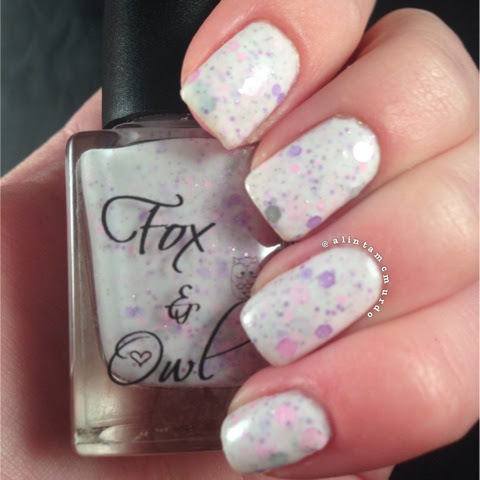 I already used Glam Polish on Easter weekend so I decided to use a polish sent to me by the lovely Jess at Fox And Owl Polish. I am a sucker when it comes to white crellys with glitter. 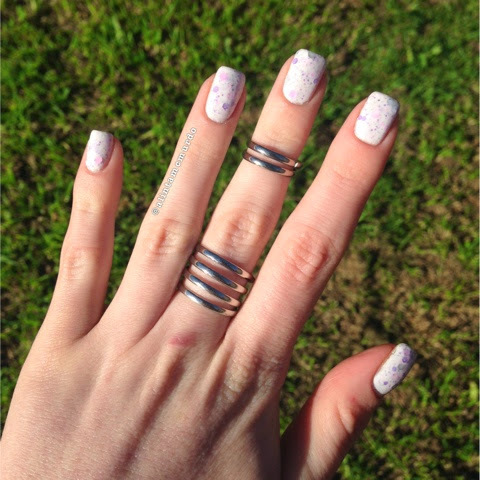 Pretty Kitty is a gorgeous polish with different shaped pink and purple glitters. I’ve worn it for three days now and it still looks freshly painted. My eyesight has been really blurry this week so cleanup was impossible (I used the hot shower technique hehe). Even with blurry vision the application of Pretty Kitty was easy. My pictures are three coats with HK Girl too coat. 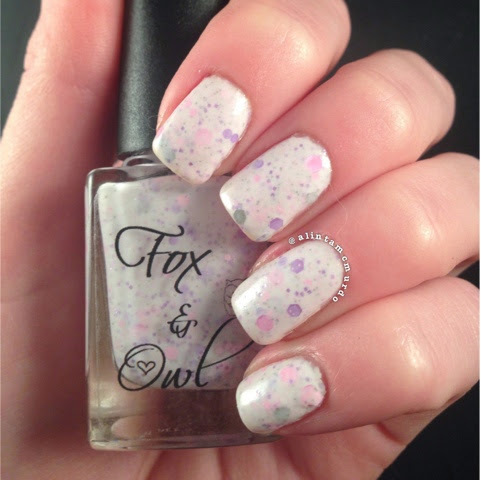 I love the pastel glitters in Pretty Kitty that make it perfect for Easter. I will certainly be wearing this soft girly polish again. Oh wow I love this polish. So stalking this seller on etsy! !